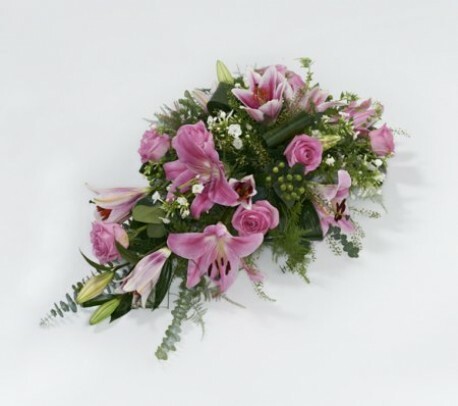 Single ended spray created in oasis using pink shades to include lillies and roses. This tribute is suitable for a funeral or rememberance. If you require further advice please call Flowerscene on 01224 712596. Flowerscene deliver flowers in Aberdeen and surrounding areas. If preferred this spray is available for collection from our shop.